One year ago, 2010 was dedicated to the Lord as a very SPECIAL YEAR. Not only was it the 30th year for prayer seminars, it was the 50th year of overseas ministry. In January 1960, as a twenty-four year old pastor, I was privileged to conduct an evangelistic crusade in Placetas, Cuba, four hours east of Havana. Seventy came to Christ. With your prayer and financial support, there were sixty-three prayer seminars in eleven states (FL, GA, MN, MS, NC, OR, SC, TN, TX, VA, WA) and six foreign nations (Cuba, Kenya, Paraguay, Tanzania, Uruguay, Venezuela). Thousands attended, including a record number of pastors from a record number of churches. I preached eight sermons, led five evangelistic clinics, and spoke at four youth meetings. 2010 could not have gone better. One of the many highlights was working with the Venezuela Baptist Convention to prepare hundreds for an evangelistic effort in four western states that resulted in 6,010 coming to Christ. Returning to First Baptist Church, Placetas, Cuba within itself was a special blessing. Having a lady to stand at the end of the Sunday morning services to say, “I must say something. I was one of the seventy saved fifty years ago!” was an indescribable blessing. Eight others who were saved in 1960 were among the 250 present. What a great God we serve. Isn’t Jesus wonderful? Looking ahead to 2011. My first seminar is in January with the West Connecticut Baptist Association followed by a seminar in Litchfield CT at Friendship Baptist Church. Then I travel to San Jose, California to be with Foxworthy Baptist Church. A prayer revival is scheduled for Northeast United Methodist Church in Columbia, South Carolina. I will return to Venezuela to work with the churches in the eastern part of the nation. At the age of seventy-five, I am eager to share as often and as widely as possible since it is obvious that my time is limited to declare that “prayer is the work that must come before all other work” and to teach the purpose and power of prayer. “Brethren, pray for us that the word of the Lord may spread rapidly and be glorified” (2 Thessalonians 3:1). What is the biggest need that we have? It is prayer support. When I think about the enormity of the responsibility that the Lord has placed upon JGHM, as a ministry, and me, as the leader of the ministry, I am humbled. The opportunities continue to be amazing. I know that my physical strength is inadequate; further, I lack the wisdom needed. As prayer goes forth for us from around the world, it is an act that declares that our dependence is on God. Some of you have shared that you often pray for every facet of our ministry. Please keep it up. As the years swiftly pass, we must work for the night is coming when we will work no more. A second need is help in scheduling the seminars. When I began, there was little hesitation for a local church to schedule a six-hour event that has prayer as its focus. A discernible shift has taken place. Many church leaders are reluctant to ask their people to make a commitment. Perhaps the answer is to identify believers who are interested and schedule a seminar for them. It could be a Saturday seminar (9 a.m. until 4:30 p.m.) or Friday evening (7-9 p.m.)-Saturday morning ( 9 a.m. – 1 p.m.) Since there is no set fee for a seminar and each participant is given a prayer seminar workbook regardless of a contribution, finances should not be a deterrent. Perhaps YOU could be the hand in the glove to schedule a seminar in your area. I would be grateful. By doing this you will help keep the doors open—a working DOOKEEPER. Thanks!. We arrived home shortly after midnight from Murfreesboro, Tennessee, after attending Sue Bell's funeral on Monday. Our lives have been saddened by the death of my nephew, Jeff Troutman, in late September, the passing of our dear friend Jewell Bouchard in October, the death of Jim's sister, Ruby, in November and the death of Sue Bell this month. While we grieve, "it is not as others, who have no hope." (1 Thessalonians 4:13) We know that death is inevitable, but there is life beyond the grave, and we find comfort in this chapter as we look to the future. Jeff and I had a special relationship in the late 80s as we were both in college and spent time studying together. He was a brilliant young man and although I had not seen him recently, we will miss him. Jewell Bouchard was a special friend from 1978, having met her and Bob at church in Newport News. We had opportunity to renew that friendship when they moved to Madisonville, Ky. She was a gracious lady, and an encourager to all. 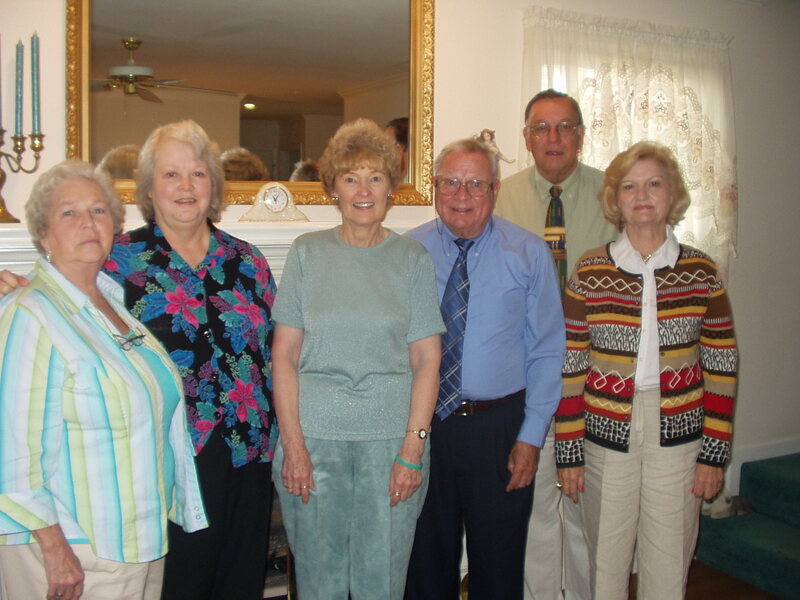 Jim's sister, Ruby had been residing in a nursing facility for several years in Morristown, Tennessee and we visited her when we were enroute to our quarterly ministry board meetings and other times. Sue Bell was Jim's secretary for the 18 years that we resided in Murfreesboro. She was like a member of the family as the office was in our back yard. She was a woman of deep faith, she loved people and was like Dorcas "full of good works and charitable deeds." (Acts 9:36) We will greatly miss each of them. Many of you have already sent Christmas cards and newsy letters which we greatly enjoy. The year has gone rapidly. Did we really have 365 days in this year? Those of you on the Reflector mailing list know that Jim had a productive year of ministry in South America, Africa and Cuba. It was his joy to celebrate the anniversary of 50 years of overseas ministry in Cuba in September. Our children and their families are doing well. We continue to enjoy helping with the care of Maggie (four years) and Willow (seventeen months), our two great granddaughters. I was blessed to be a part of a ministry team from our church to Macau in May. We have experienced growth in our church and have missionary candidates ready to go abroad to serve Him in 2011. We are very thankful for our pastors and staff. We are abundantly blessed with family, friends, and ministry partners and are very thankful for each of you. You enable ministry and are such an encouragement to us and we thank you. Have a "Happy Holy Birth" celebration (the Chinese definition of "Merry Christmas") and blessings in the New Year as you walk closely with Him. For the past twenty-seven years, there has been one person who has been an integral part of the prayer seminar ministry—Sue Young Bell (Mrs. Tommy). 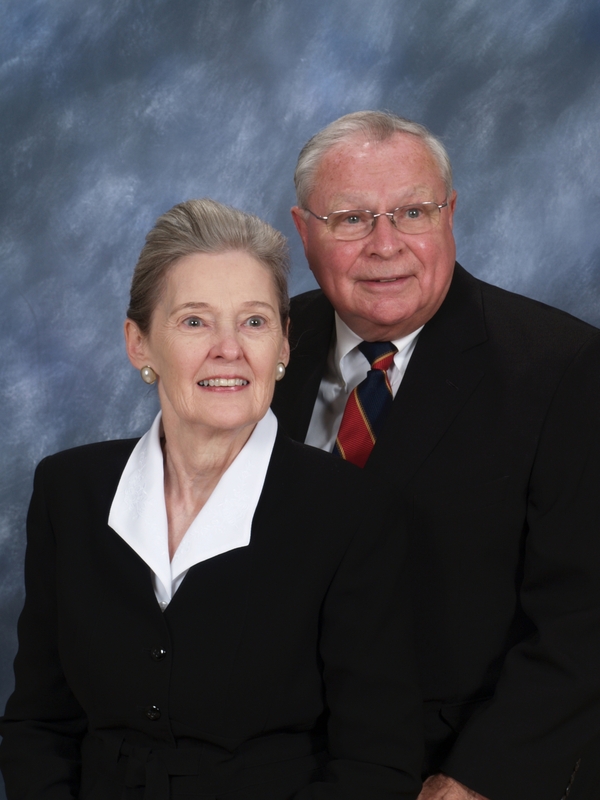 She served as administrative assistant/secretary for nineteen years for J. Gordon Henry Ministries. Her work as a member of the Board of Directors (serving as secretary) has encompassed twenty-seven years. In addition, she served as secretary for the Transnational Association of Christian Colleges and Schools (TRACS) and was a key factor in the gaining approval from the U. S. Department of Education as a nationally recognized accrediting agency. Her competency in management and organization is legend with few equals anywhere to be found. When JGHM relocated to Lynchburg, Virginia (where our daughters live), a decision was made to keep the board in Murfreesboro, Tennessee. We have been able to do that through the coordination of Sue working closely with Dr. F. Murray Mathis, chairman. After a relatively brief illness, Sue made her exodus from earth to heaven on Friday, December 10, at the age of seventy. Although we are heart-broken, along with a host of family/friends (especially those from Taylor’s Chapel Baptist Church where she has served faithfully for almost fifty years and Concord Baptist Association, where she served as secretary before joining JGHM), she was a woman of faith deeply grounded in the Word of God. Her spiritual maturity enabled her to ably counsel many people. What does this mean? She was constantly seeking others to become members of the family of faith. God has made each of us in His own image, which includes the ability to make choices for ourselves. Adam, our forefather, chose to break deliberately God’s directive not to eat the forbidden fruit in the Garden of Eden. At that moment, just as God had said, he died (not physically or as a person, but his spirit died to God). Since that time everyone who has come into this world has been born dead to God. Before Jesus came, the way of atonement was the blood of an innocent animal anticipating a day in the future when Jesus Himself would become the “lamb that was slain.” His death on the Cross was payment for our sins, not His, for He had none. What happened to Sue Bell when she trusted Jesus so long ago? (1) Her name was placed in the Lamb’s Book of Life; (2) the Holy Spirit came to live in her; (3) the Holy Spirit placed her into the body of Christ; (4) the Holy Spirit gave her a spiritual gift to use to build up the body of Christ; (5) She was set on the road to Heaven. Now, she has arrived there to join those who are already there and to await the coming of the rest of us. Yes, our hearts are broken and it is difficult to know what we are going to do without Sue’s presence. We sorrow, but not as those who have no hope. Our hope is in the Lord, His words and His actions. Jesus has gone to prepare a place for us and He will one day be ready for our moving there. He has promised and He keeps His promises. Of waking up ….. and finding it HOME! The eleven prayer seminars in Kenya (3) and Tanzania (8) could not have gone better. All of the goals that we set were exceeded. It was an intense twenty days. Since I am a “homebody” (traveling is not my “cup of tea”), I stay homesick when I allow myself to think about it. The venue on this trip required around 1,960 miles ground travel. Some of the roads were not the best. Short distances required hours, literally. Our basic focus was on teaching pastors (192) and leaders the purpose and power of prayer. Although the seminars were set up for Christians, forty-three (including one of the pastor’s seventeen-year old son) came to Christ; the Holy Spirit did a great work in bringing conviction to both the saved and the unsaved) as He brought the Word alive and instructed us. As usual, the workbook (this time Swahili edition) was greatly appreciated as a resource tool. We have follow-up in place in order to preserve the “revival” that we have seen. Please make this a matter of prayer. 172 churches were represented. A major purpose of my going to East Africa was to develop my “student,” Martin Shikuku—one of the most promising young men with whom I have worked. As soon as he took my course at a Bible college in Kenya in April 2005, he (along with another Kenyan and two from the Congo) committed themselves to sharing the seminar in East and Central Africa. He began by translating the workbook into Swahili in handwriting (he had no computer for word processing). AND he has been teaching seminars faithfully while building a great church in West Kenya that has a pre-school (thanks to friends in Aitkin, Minnesota) and a Bible institute for those who are called to be pastors, but cannot go to a regular college. Martin determined to meet this need. Some of you will remember that JGHM provided mattresses, pillows, and sheets for the students. When I first went to Eldoret, his city in the Rift Valley, his transport was by foot, by taxi, or by bus—very difficult modes. He assured me that one day I would come and he would drive me to the different venues. I was skeptical. However, the Lord enabled us to purchase a car for Martin, but his vision was for a van. 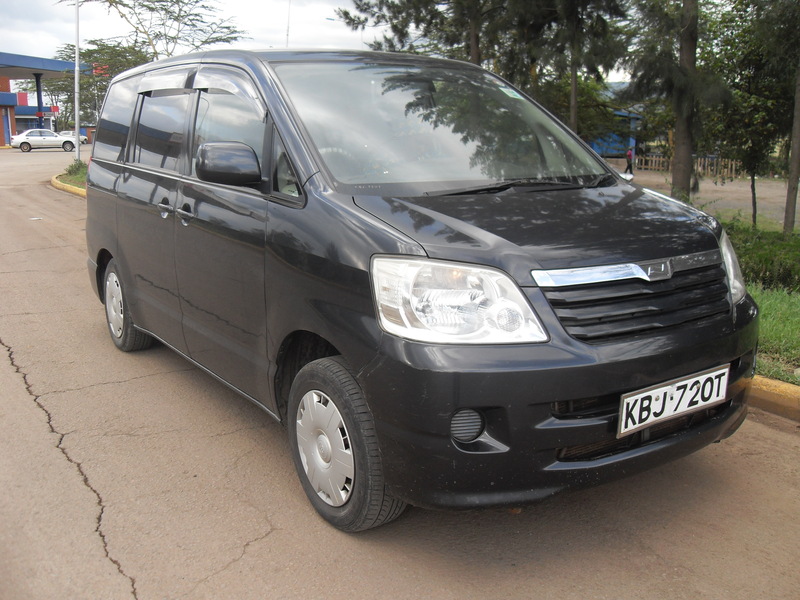 By trading in the car and using the funds that we had set aside to lease a vehicle for the travel, Martin picked me up at the airport in Mombasa in a Toyota van! Can you believe it? Driving in these nations requires skill and he has developed the skill! I was surprised, but he said he had got a driver’s license in 1994 and had kept it renewed awaiting the day that his vision for a van was realized. The balance on the van is $3,954. Martin firmly believes that he is serving Jehovah-Jireh and that God will provide the funds. Let’s pray with him for the funds to pay off the van. If you would like to help, designate “Martin’s van” on your check. Both Martin and I concluded, due to my age, that this will probably be my last time with him. I tried many approaches in teaching the seminars—and Martin’s expression was sometimes one of surprise as he learned new ways to present the materials. Be assured that our work in East and Central Africa is in good hands and will not be neglected in any way. Thanks for your faithful partnership in the prayer seminar ministry. 120 gave $10,981 exceeding the $9,000 budget. Your investment in the Bank of Heaven on this account is significant. I can only imagine the amount of the interest that has been accrued! Isn’t it exciting to see the Lord work! I believe we will all be surprised. P. S. Sue and I traveled to Murfreesboro, Tennessee on Friday to spend time with my long-time secretary (18 years), Sue Bell, who is critically ill with cancer. Her work molded the prayer seminar ministry working closely with me. Pray for Tommy and other family members during this time. What I felt in my heart in returning to Gethsemane First Baptist Church, Placetas, Cuba, after fifty years is really indescribable. Upon arrival, the young pastor and his wife, Digmar and Linet Lugo, welcomed me with open hearts and arms. Immediately, I felt at home. After finishing my message to a packed house, a lady stood and asked to speak. She said she was one of the seventy saved in 1960 and was soon baptized into the fellowship of the church. Then another lady stood to say that she, too, came to the Lord in the services. Another lady said that the 1960 meetings changed the lives of her family. Not only did she accept Christ as Savior, her three sisters and brother did as well. She became a lay leader in a house church that was organized into the second Baptist church in the area. As others shared that they, too, trusted Christ in 1960, my heart overflowed with joy and thanksgiving. Several said that their brother or sister who were in the seventy who were saved have now finished their course on earth and are now residing in Heaven. Praise the Lord. I have often said that if we are faithful to the Lord, on that great reunion day we will be surprised at the lives we have touched. To have an opportunity to see the fruit of the January 13-20, 1960, crusade in these lives was truly remarkable—by far the most amazing thing that I have ever witnessed—all because of Calvary! I found the church at Placestas alive and well. On Saturday night, I spoke at the weekly youth meeting to a large number. So many are involved in Sunday school on Sunday morning that the church has to provide two Sunday schools—one before and one after the morning worship service. Around 250 attend the Sunday services. The church is in good hands with Pastor Digmar, along with a strong youth pastor. The government approved a preschool for ages one through five. Forty-two are enrolled. When the state officials in Santa Clara learned of this approval, they passed a law saying that no other evangelical church could do this because of the clear religious instruction being given. The church has Awanas teaching their children and youth. The beautiful building is as it was fifty years ago. So is the pastor’s home. I slept in the same room that I did fifty years ago. The only difference was the absence of a mosquito net—no longer needed. In 1960, I* was awed by the beautiful floor tile in every room. I recognized the tile immediately. My Book of Memories has many memorable ministry events from around the world. None will ever surpass the 2010 fiftieth year Homecoming at the Gethsemane First Baptist Church, Placetas, Santa Clara Province, 225 miles east of Havana. I am greatly humbled, but greatly encouraged as well. Job 18:6 - "The light shall be dark in his tabernacle, and his candle shall be put out with him."